GSA BMO Services - Satellite Services Inc. 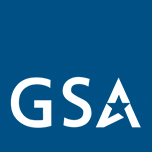 The U.S General Services Administration (GSA) embarked on a Federal Strategic Sourcing Initiative for Building Maintenance and Operations (BMO) services. BMO strategic sourcing solution is a comprehensive and flexible solution covering all high-demand BMO services. It is an open market, multiple-award, indefinite delivery, indefinite quantity (MA-IDIQ), government wide contract vehicle supporting the strategic sourcing initiative to reduce costs and drive efficient purchasing by federal agencies. The objective of the acquisition is to provide Government agencies with an acquisition vehicle that offers a comprehensive coverage of services that fall under the building, maintenance and operations scope. SSI has been awarded a contract under Building Maintenance and Operations for Operations and Maintenance (O&M) services under Solicitation No. GS06Q-16-RL-0002 Small Business On-Ramp. Our BMO contract number is 47QSHA19D000X. The period of performance under this contract is January 2, 2019 through March 30, 2021, with one option period of five years. Click here to visit the GSA BMO website. Announcement of the award was made on the FBO website on November 13, 2018; identifying SSI as an awardee.